Or, a Florentine fleur-de-lys and on chief gules two mullets of eight points Or. Lady Sofya came up with an initial design for her armory last year, but the submission paperwork was never finalized and she wanted to make a few tweaks. Her persona resides in northern Italy and she’d previously selected the Florentine fleur-de-lys as her primary charge, as well as choosing red and gold as her personal colors. In the course of the design process she identified the eight-pointed star as a recurring theme in Italian heraldry and included that as well. 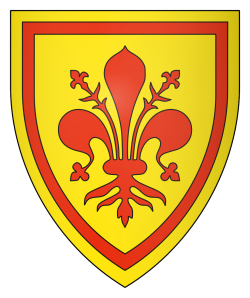 Or, a Florentine fleur-de-lys within an orle gules. A second design which was developed during the consultation is being submitted as a personal badge. 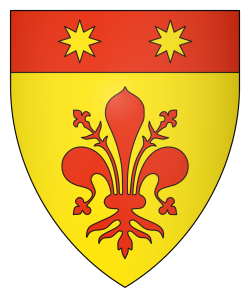 It’s very reminiscent of the arms of Florence, which are argent, a fleur-de-lys gules. The fleur-de-lys charge used here comes from Gunnvôr silfrahárr’s “SVG Images for Heralds” collection, and is the distinctively-Florentine version with visible stamens between the petals. While at one time the SCA blazoned this charge a “fleur-de-lys Florencee,” that practice seems to have become less common, and these may wind up being registered as generic fleurs-de-lys, with the particular styling an artistic variation visible only in the emblazon. Per bend sinister purpure and vert, a bend sinister argent, overall an inverted triangle Or. Lady Magdelena’s armory registration was returned for a redraw as the submitting herald had made the triangular charge “barely overall.” She liked the design, so we adjusted the proportions to address the issue by ensuring that all three corners of the triangle lie on the field rather than on the bend, and it is now being resubmitted. My SCA persona is of mixed post-Viking Irish and post-Roman Welsh descent, living in northern Wales one thousand years ago, so I tried to select a name and armory that felt appropriate for that context. 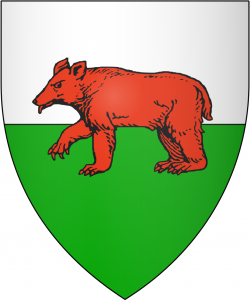 Per fess argent and vert, a bear passant gules. 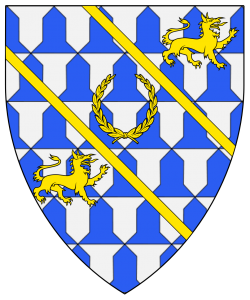 The Irish and Welsh of 1017 did not have a concept of personal armorial designs, which arrived in the British Isles with the Normans fifty years later, but heraldry is such a pervasive element in the SCA that I was willing to be anachronistic about it. 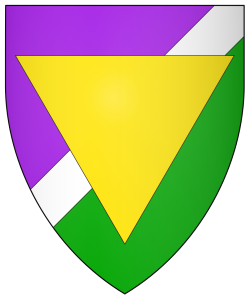 However, I still wanted to use a very simple design that was reminiscent of the earliest period of heraldry — per-fess fields with a single central charge are found by the twelfth century. I also wanted a design that was suggestive of Ireland and Wales — the Welsh flag is white and green with a red dragon, and bears are important symbols in early Celtic mythology. And the red bear makes a good symbol for me — I am heavyset, bearded, and somewhat red of face. The above emblazon uses a bear illustration by Graham Johnston from Fox-Davies’s heraldry book of 1909. The submitted image uses a much cuter bear inspired by the “bear cub” cant mentioned below. Mathghamhain Ua Ruadháin is a plausibly authentic Irish Gaelic name for the eleventh century. It’s pronounced Mah-(g)huv-ahñ Uh Roo–(g)hañ, where the stress is on the underlined syllables and the parentheses indicate a softened guttural sound. The word “Mathghamhain” is an old Gaelic word for bear cub, formed from the roots “matu” or “math” meaning bear, and “ghamhain” or “ghamhuin” meaning calf. In later usage this word shifted from meaning specifically a bear cub to referring to bears in general. 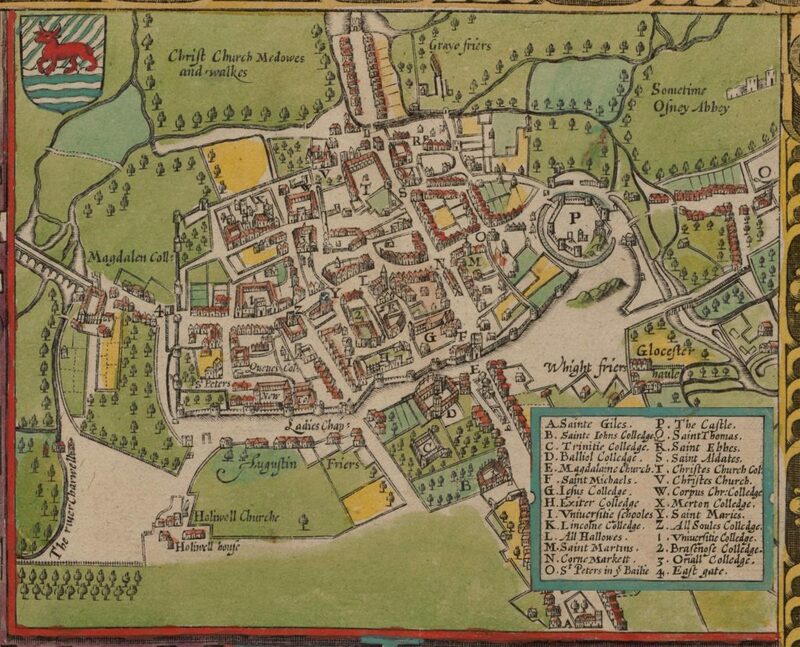 An old collection of Irish records known as the “Annals of the Four Masters” lists a dozen influential men named Mathghamhain in the years from the late 900s through the 1100s, including the older brother of Brian Bóruma mac Cennétig, aka Brian Boru, high king of Ireland. Mathghamhain can be pronounced Mah-hoo-an, although the period pronunciation may have been closer to Mah-(g)huv-ahñ. In modern Gaelic it’s pronounced something like Mah-hoon, and it’s typically Anglicized as Mahon, although in some cases it may have been converted to Matthew. Ua Ruadháin was a family name in Ireland by the late 11th century, and was well established in western Ireland in the 12th and 13th century. Spelling variations include Ua Ruadáin, Ua Ruadhán, and Ua Ruaidhín. There are a fair number of clergymen named Ua Ruadháin, including Aedh Ua Ruadhain (priest, north Ireland, –1105), Maol Ruanaidh Ua Ruadháin (bishop, Connacht, –1170), and Felix O’ Ruadhan (archbishop, Tuam, 1201–1235). Ruadháin can be pronounced Roo-ahn, although the period pronunciation may have been closer to Roo-a(g)hañ. Modern Gaelic pronunciations seem to include Roo-ahn, Roo-awn, and Roh-an. It’s typically Anglicized as Ruane or sometimes Rowan, although in some cases it may have been converted to Ryan. Thus, loosely translated, the name Mathghamhain Ua Ruadháin can be read as something like “bear cub of the little red one” or “bear, descendent of the red,” meaning that the device shown above acts as a rebus, or “canting arms,” which was a common practice in the medieval period, using a picture that suggests elements of the name either literally or via puns. While the name would probably be Anglicized as Mahon O’Rowan, it’s not completely out of the question for it to have become Matthew Ryan — my given name and my mother’s Irish family name. 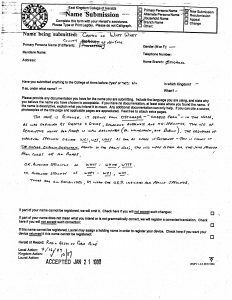 Name and device submitted at Pennsic Heralds’ Point in August 2016 and accepted on the January 2017 LoAR published that March. The original blazon submitted described the central charge as a “bear cub,” as an attempted cant on the meaning of “Mathghamhain,” but this was declined on the grounds that SENA A2C1 forbids the registration of baby animals. 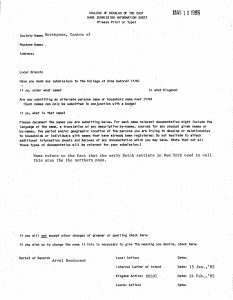 Due to a transcription error at Heralds’ Point, the byname was registered with one letter missing, which was corrected in an errata the following month. The name and device were approved at the end of March, and I want to thank everyone who helped me as I worked through the process, including Alys Mackyntoich, who answered my EK “ask a herald” request early on in the process and helped me with Gaelic name elements; Seraphina Delfino, Rachael d’Amour, and Sigrith Vigdisardaater who checked my initial armory design in the Facebook SCA Heraldry Chat group and helped me figure out that turning the bear in my draft design would clear the only conflict; Frank Sloan and Brian Engler, who reviewed my Gaelic pronunciation; Gisela Vom Kreuzbach, who took my submission at Pennsic (as well as recruiting me to become a herald); Yehuda ben Moshe, who corrected a typo which I hadn’t noticed until much too late in the process; and the others whose names I’ve lost along the way — much appreciation to all. I’ve put together an integrated search page that allows you to easily run search queries against a number of different websites that contain useful heraldry information. I hope it may prove useful to others — if there are websites that seem of general interest that I have omitted please feel free to point them out and I’ll see if I can add them as well. In the spirit of the recent writeup of Whyt Whey’s registrations, here is the registration of Northpass. My thanks again to the office of the Laurel Archivist for sharing these files. The canton’s name was submitted in January 1985, and registered without comment in May. Name refers to the fact that the early Dutch settlers in New York used to call this area the northern pass. The canton’s arms were registered in January 1987. A few other details of Northpass’s history are provided by Lord Richard the Poor’s “A Geographic History of the East Kingdom”: the branch was first organized as “Viking’s Hall” and changed its name in December 1984, before achieving official status in August 1985. A Badge for the Outer Burroughs of Østgarðr? 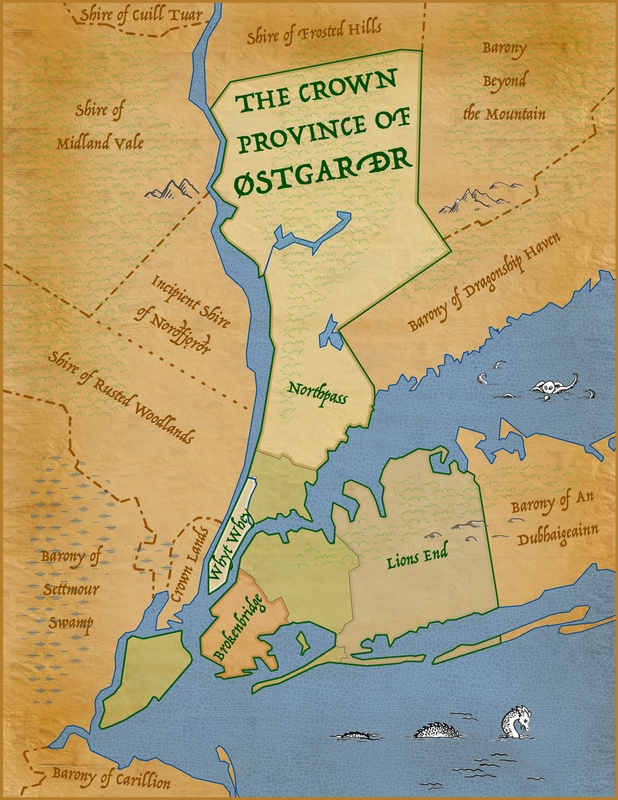 At a recent provincial commons meeting, some people were joking about a proposed badge for the three “outer boroughs” of New York City which are part of Østgarðr but not within the boundaries of any canton: the Bronx, Queens, and Staten Island. I don’t think there’s any actual intent to register this, but I figured I’d draw it up for amusement value. I’m not sure if folks have thought through the tinctures they might use, so I just guessed at what seemed natural. Argent, a pall azure between three otters in annulo proper. 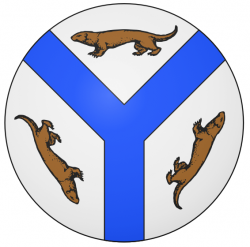 The three otters and the segments they inhabit represent the three “outer” boroughs, while the blue represents the “rivers” (actually tidal estuaries) that divide them. Unsurprisingly, this design is unregistrable due to conflict, and I don’t have the time to search for clear variants — perhaps a pall wavy? — so this will have to do for now. Author MathghamhainPosted on 6 March 2017 6 March 2017 Categories ØstgarðrLeave a comment on A Badge for the Outer Burroughs of Østgarðr? I have no particular cartographic skills, but have been meaning to try my hand at a map of the Crown Province and its cantons. Attached is a halting first step in that direction — not totally wretched, but it leaves a lot to be desired. Perhaps some day I’ll set aside the time to come back to this and try to further beautify it. The canton’s registration of a new device and populace badge have been forwarded by Blue Tyger Herald from the East Kingdom to the Society’s College of Heralds, and I thought this would be a good moment to look back at the branch’s previous heraldic registrations. Riffing on the mis-reading of Østgarðr as “cheese farm” and the century-old nickname for the brightly-lit midtown portion of Broadway, the initial proposal was to name the canton “Grate Whyt Whey”, but the first word was dropped during the registration process as being too ahistorical. The name is English. It derives from Ostgardr — “Cheese Farm” — in the Norse, as was explained by Daffyd z Goury, regarding alternate and mis-spellings. The use of descriptive nouns for places is well documented (ex. Whitehaven, and Dublin). The vagaries of medieval spelling equate Wei, Way, Whey as far as usage is concerned— this is shown in The Oxford English Dictionary, dating to the early 1300s. The uses were either for the juice pressed from curds or for roads. O.K. alternate spellings of Whyt: White, Wyte. O.K. alternate spellings of Whey: Wei, Way. These are all possibilities, by what the O.E.D. indicates for period spellings. 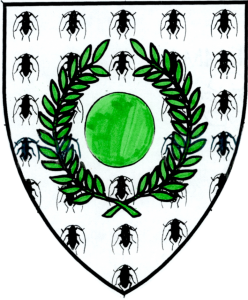 Argent semy of cockroaches sable, a pomme within a laurel wreath vert. This is being returned under RfS I.2., Offense. This general principle states that “no submission will be registered that is detrimental to the educational purposes or good name of the Society, or the enjoyment of its participants because of offense that may be caused, intentionally or unintentionally, by its use.” Given the universally negative reaction of the commentors to this semy charge, it is believed that a significant percentage of the populace of the SCA will find this device so offensive as to reduce their enjoyment of and participation in SCA activities. 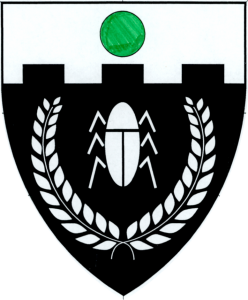 Sable, a cockroach tergiant within a laurel wreath and on a chief embattled argent, a pomme. Eight years later, the canton tried again, this time using a single cockroach instead of the semy. Perhaps relying on that precedent, the canton submitted a new design, blazoning the central charge a “German beetle”. The primary charge was blazoned as a beetle; however, single cockroaches are now allowable charges. As their previous submission used cockroaches, we changed the blazon to match what we believe is their intent. This device has remained in place since then, although it is rarely used; the only place I have seen it displayed is as part of a pennant with the arms of the Crown Province and each of the cantons which is flown in the Østgarðr encampment at Pennsic. If the new arms are successfully registered this summer, this design will be maintained as the “ancient and honorable arms” of the canton in perpetuity.